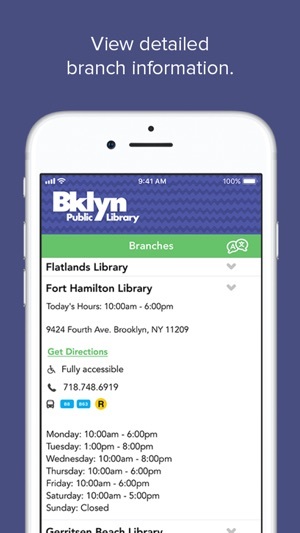 With the BPL app, you can access Brooklyn Public Library at any time! 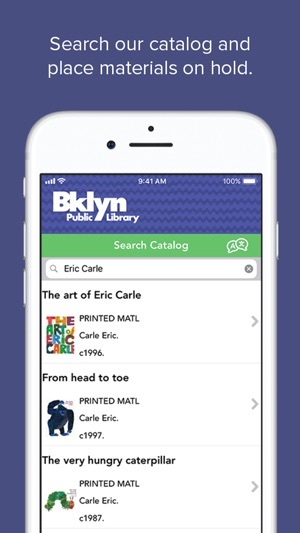 Search our catalog, place holds, pay fines or renew your materials, find your local branch and discover upcoming events and programs for all ages. You can also browse our eBook/eAudio collection and use the Library's digital resources. 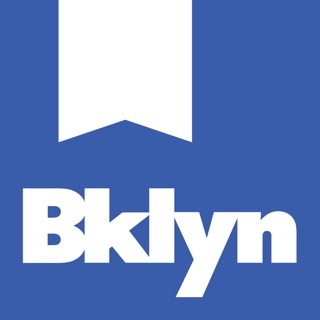 Check the online calendar to view events by location, date or topic, and find detailed information about our neighborhood libraries including hours and nearby public transportation. 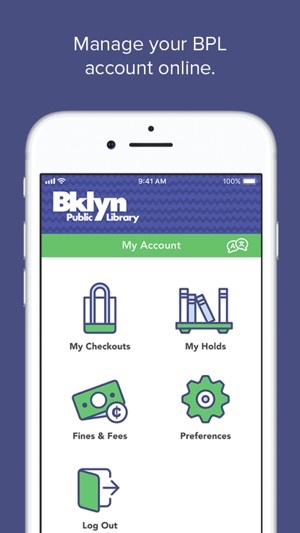 And if you’re at a BPL location, use your digital library card to check out materials at the desk or any self-check machine. 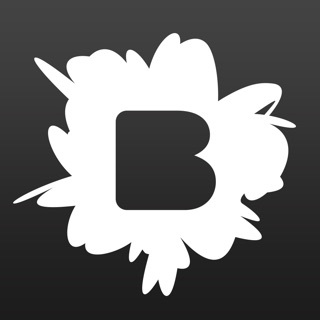 · We’ve launched mobile checkout! Scan your next read right off the shelf. Find it under My Account. · eBooks now appear in search results, though we're still working out some bugs with our vendors! 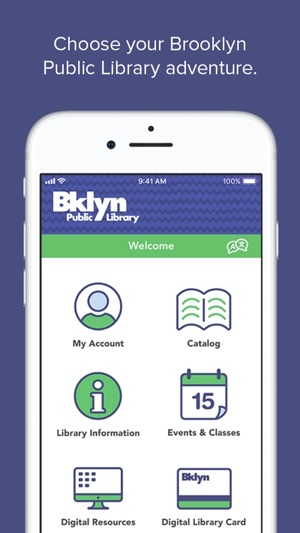 · The BPL app is now available in four languages (English, Spanish, Chinese and Russian), and you can now add multiple library cards to your account. 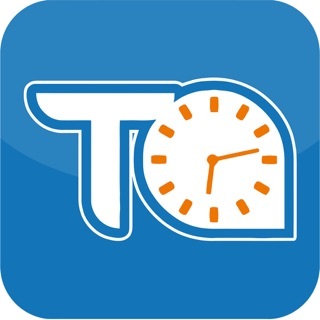 This app is such a disappointment, especially given how long we had to wait for it. Specifically, my shelves-the ability to create lists of what you would like to read and have completed-is missing. This is such a drag on my reading life, since you can’t search for and add a book to your for later list on the fly, which was so terrific for an avid reader. I also could not find the history of what I’ve checked out. 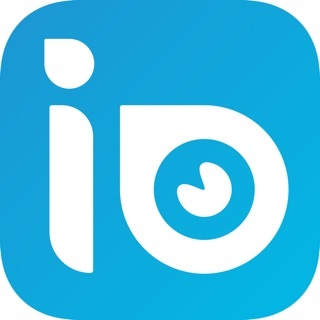 Please bring back the old app! This one bites. Need better search results and the “Lists” feature! I’m a teacher and I use the library a lot. I’ve created lists of books and cannot access them through the app. In addition, the desktop gives me search results of books in different versions and languages, which is helpful; but the app does not. Please expand the search result for more options.